Explanation: Plunging close to the outer edges of Saturn's rings, on January 16 the Cassini spacecraft captured this closest yet view of Daphnis. About 8 kilometres across and orbiting within the bright ring system's Keeler gap, the small moon is making waves. The 42-kilometre wide outer gap is foreshortened in the image by Cassini's viewing angle. 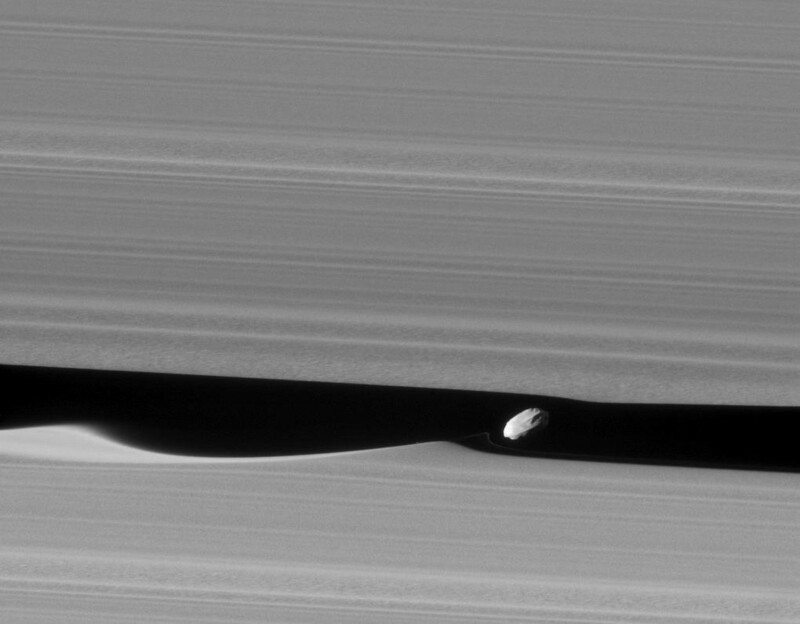 Raised by the influenced of the small moon's weak gravity as it crosses the frame from left to right, the waves are formed in the ring material at the edge of the gap. 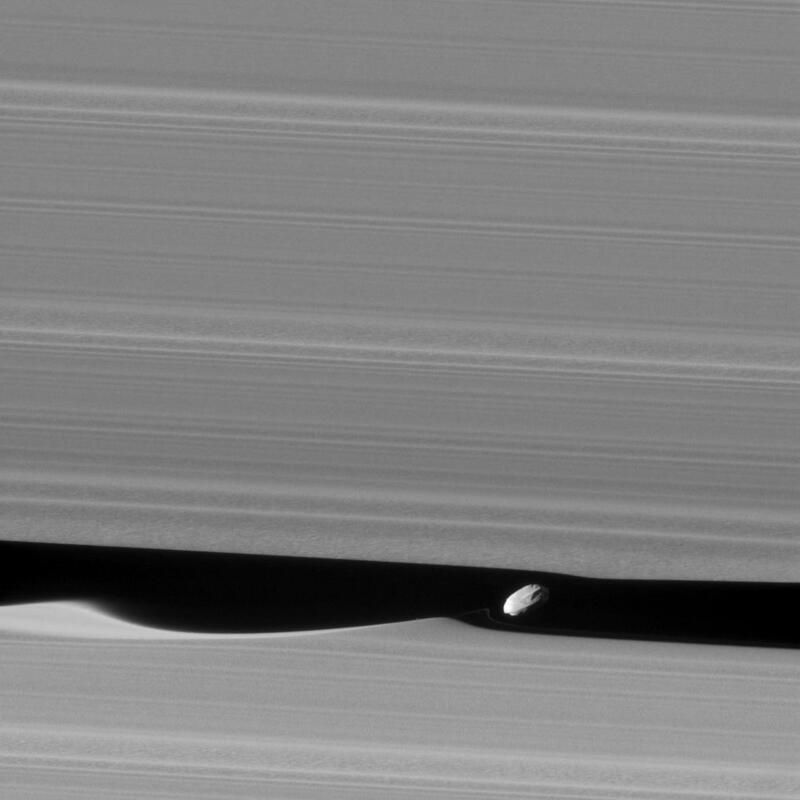 A faint wave-like trace of ring material is just visible trailing close behind Daphnis. Remarkable details on Daphnis can also be seen, including a narrow ridge around its equator, likely an accumulation of particles from the ring.